As I watch 2016 come to a close, I can’t help but think of all the Amazing things that has happened this year. Our team accomplished a variety of projects this year, including: filming internal training videos to ensure we help EVERYONE discover our Amazing differences, re-designed our website, re-designed our brochures, updated our online rental and account management system, added custom logoed water bottles to our store swag for anyone to enjoy, updated our invoices to better reflect our Amazing differences, and of course, we opened our brand new store on F.M. 2978! Please check out our Christmas e-card below, which outlines more of our Amazing adventures in 2016. 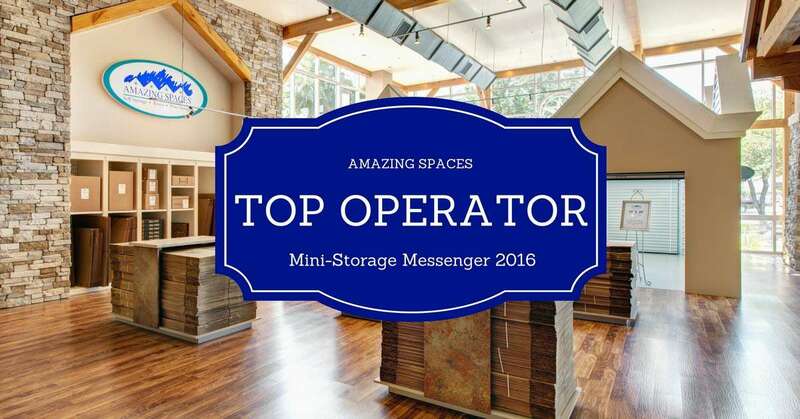 To top off our success in 2016, we were recently given the honor of being a Top Operator in The Mini-Storage Messenger magazine. The Mini-Storage Messenger magazine is one of the leading publications in the self-storage industry. Established in 1979, this magazine serves as a major voice and innovator for our industry. This top operator list has identified that we now rank 92 of 100 self-storage properties in the United States. We are so proud to have achieved this new milestone, especially being a locally and family-owned company based right in The Woodlands. It is our mission to continue to grow and continue to offer the best storage solutions to the communities we serve. Learn more about our Amazing storage differences. We look forward to watching our Amazing company grow throughout the next few years. Let’s continue our Amazing storage revolution and help ensure everyone’s items are kept in a secure and Amazing environment! Here’s to 2017 and the Amazing things that will surely happen. Wishing a very Amazing New Year’s to each of you!